CRM analytics are statistics or metrics that offer insights into areas like sales performance or customer service that show how a business is performing. These insights help companies make decisions to better serve customers, improve relationships, and increase sales. 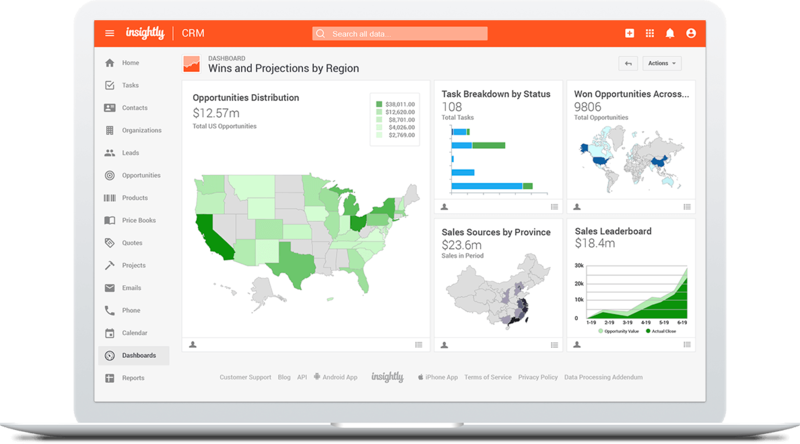 Full-featured CRMs offer automated CRM analytics tools that aggregate data into meaningful reports versus using spreadsheets. Freshsales is a full-featured customer relationship management (CRM) software with analytics features to help you track the performance of your business. Without creating and maintaining spreadsheets, Freshsales allows you to visualize key metrics with a few clicks on reports or in dashboards. Visit Freshsales to learn more information about their CRM analytics tools. CRM analytics are customer interaction data that help businesses make more informed decisions around sales, service, and marketing activities. 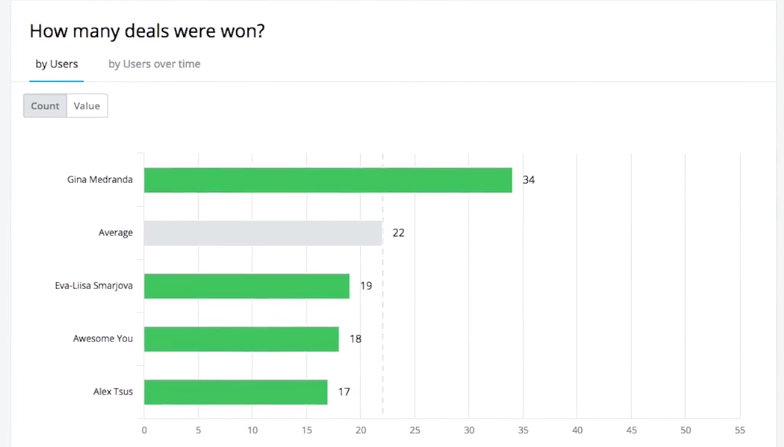 These analytics covers a wide area and include data like deal win-loss ratios, email open rates, number of calls made, project tasks overdue, and open service requests. When aggregated into meaningful reports, these metrics can help businesses spot opportunities or threats. The best tools to track CRM analytics lie within the CRM software itself. Depending on the type of CRM used, sales data and other customer data like prospect interactions, customer engagement, customer service activity, billing, and project management activities are recorded automatically. The software’s built-in CRM analytics tools then allow you to view and interpret trends taking place in your business so you can take corrective action where needed. CRM analytics tools work by tracking customer data points like product sales and prospect engagement. These tools compile data into reports where you can recognize trends (such as increasing sales), interpret what they mean, and take action. Instead of manually tracking data and creating reports, CRM software programs often also allow you to click a few buttons to create reports and dashboards without leaving the interface, saving you time. In many full-featured CRM software, you can also track external customer data like website visitor or product engagement data. This is done through built-in APIs, integrations, and data feeds. For example, it can track which customers are signed up to your newsletter or which ones have a product demo account. CRMs like Freshsales make it easy to segment these customers and create sales campaigns based on their activity. For example, if your data shows that 80% of your prospects who sign up for a product demo buy, but only 10% of your prospects sign up for a demo, you may want to create a product demo campaign. Another example is if your CRM analytics tell you that 35% of new customers cancel within the first 90 days, but 95% of new customers who keep the product past 90 days don’t cancel, you may want to develop a new 90-day customer retention program. Insights offered through CRM analytics show business owners where to invest their time and money by using data to illustrate where problems lie. Directing time, money, and other resources to areas in the business that need it most will help prevent problems from getting worse. These insights can also signal trends and opportunities which, when properly acted upon, can give you an advantage over the competition. To gain the most from CRM analytics, there are two major categories of customer relationship engagement activities you should measure. These categories are presales engagement and post-sales engagement. Presales engagement measures interactions that take place before the sale, like product demos. Post-sales engagement measures activities taking place after the sale, like product activation or project status. Measuring presales engagement activities can help you become better at closing deals, as it gives you a way of identifying the activities that most resonated with your prospects. This includes measuring sales interactions and marketing campaign effectiveness. Specific examples include tracking the number of product demos, measuring the number of case study downloads versus webinar attendees, and tracking email open and click-through rates. Prospecting: This category measures your sales team’s ability to identify new leads and fill the front end of the pipeline. Here you should measure things like the number of prospecting calls, number of new leads, and the number of cold emails sent. New opportunities: Because the health of your pipeline depends on the number of new opportunities added, you should measure things like opportunities added, number of opportunity calls, and number of proposals sent, opened, acted upon, and approved. Product demos: You’ll want to measure the number of product demos by sales rep and total number of product demos that yield sales in order to set goals for your team. Special event invitations: If you create special events to help build customer relationships, track invitation metrics, including number of RSVPs, number of opens (if sent via email), number of attendees, number of follow-up calls, and number of sales. Meetings and calls: Because business-to-business (B2B) sales rely on meaningful customer interaction like meetings and phone calls, track activities like number of calls, length of calls, number of meetings, and post-meeting engagement like number of free trial sign-ups. Monitoring post-sales engagement is important to help you improve customer retention, and involves measuring interactions and activities that take place after the sale. Specific examples include tracking activities like billing patterns, number and types of calls to customer service, and project status. Billing: There may be important patterns in customer billing that can offer valuable insights, such as likelihood to cancel or likelihood to keep the product based on payment history. Tickets: Customers who generate a high number of tickets may be at risk for canceling your product. Seeing the number of tickets a customer has can allow you to proactively take appropriate action. Project management: Tracking overall project status and the status of milestones and activities can allow you to take action or have conversations to prevent project status and timelines from slipping. Cross-sells and upsells: Tracking cross-sells and upsells can help you plan campaigns based on purchase activity. There are several CRMs that offer advanced analytics. These CRMs make it easier to track and measure customer and prospect interactions that take place before and after the sale. Sales managers and business owners can quickly create CRM analytics reports and dashboards with the click of a few buttons, saving time from having to manually create tracking tools and reports. Freshsales allows you to not only track sales-related interactions, it also has event tracking tools to track website interactions and product engagement. With event tracking, and paid plans starting at $19 per user, per month, you’ll know where specific users spend time on your website, what documents or e-books they’ve downloaded, and what features on your product they’ve used the most. 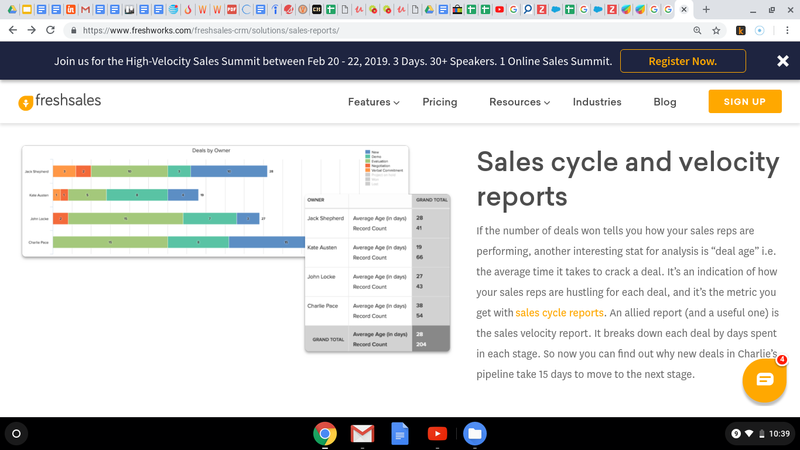 In addition to event tracking, Freshsales also offers robust reporting and dashboards to help track sales activities, including deal velocity reports, sales trend reports, and aged deal reports. These types of sales reports give insights as to where you may be experiencing problems in your sales funnel, or they could tell you what your top salesperson is doing that others could learn from. Freshsales activity tracking indicating which activities the prospect has engaged in. Deal velocity report showing number of deals by salesperson by stage. Freshsales offers helpful CRM analytics tools to help you identify trends and what deals are most likely to be won. It also helps you to understand how customers and prospects engage with your website and product. 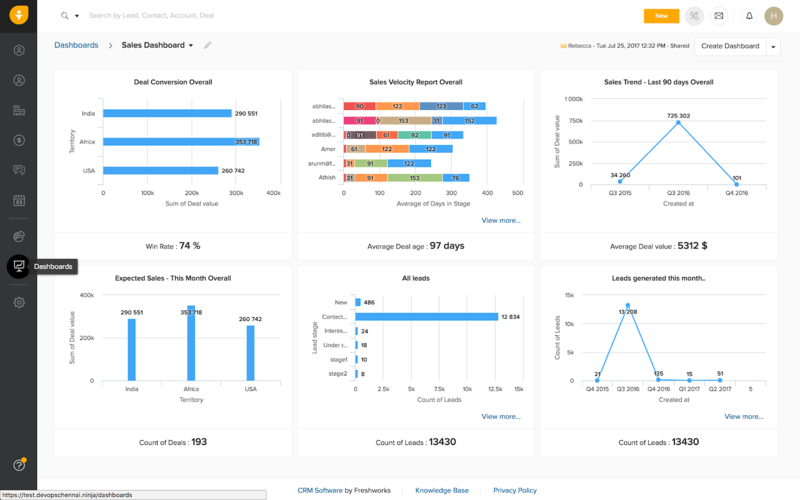 Click here to try Freshsales CRM analytics tools with a free trial. Zoho CRM’s Pro plan includes advanced analytics tools for sales and operations, giving you the ability to measure and track metrics in sales, service, and support for $20 per user, per month. 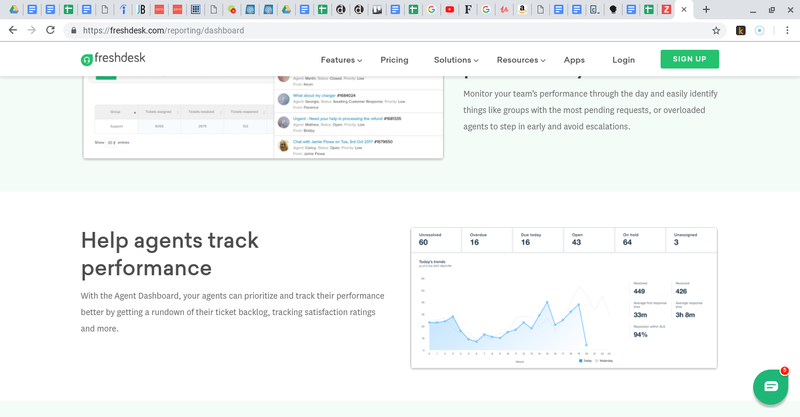 You’re able to create a dashboard that can tell you at a glance things like the number of new deals created, number of support tickets resolved, and number of deals won or lost, and it also allows you to import external data. Because Zoho incorporates sales, service, and support metrics, you’re able to gain insights from both presales and post-sales interactions. Insights from these interactions can help teams from across your company have more contextual conversations with customers as well as identify needs a lot sooner than if these insights were unknown. Zoho CRM Plus offers advanced CRM analytics tools to help you make better decisions about your business. To try these features, visit Zoho for more information and start your free trial. 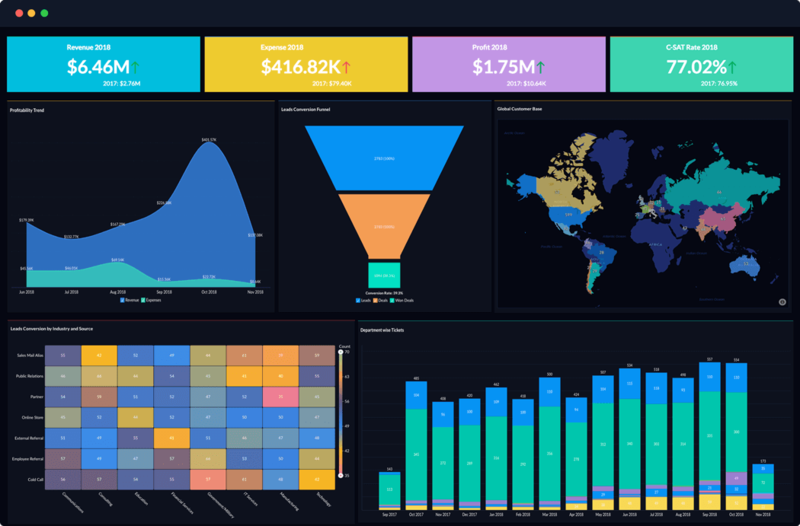 Insightly offers advanced CRM analytics tools that allow you to create reports and dashboards that offer insights on pre- and post-sale activities from prospect interactions through customer interactions during projects. With Insightly’s paid plans that start at $29 per user, per month, you have the opportunity to create reports with just a few clicks in each phase of the customer journey, giving you insight into what’s going on throughout the customer journey. Being able to track project activities in an automated way helps you stay on top of how things are going as you work with customers. For instance, in Insightly, you’re able to quickly visualize that a high number of projects are in a certain stage and are not moving forward as quickly as normal, which means you can find out why and take appropriate action. Also, you can see if deals are stalling in a particular pipeline stage, and act sooner to take corrective action. Insightly allows you to create sophisticated CRM analytics reports and dashboards quickly and easily. For more information on how these tools can help your business, visit Insightly for more information. CRM analytics in Pipedrive focus on pipeline and sales because that is the nature and focus of Pipedrive. In Pipedrive, you’re quickly and easily able to see the quality and nature of your sales activities with CRM analytics tools. CRM analytics reports can be created easily by clicking a few buttons, with paid plans starting at as little as $15 per user, per month. 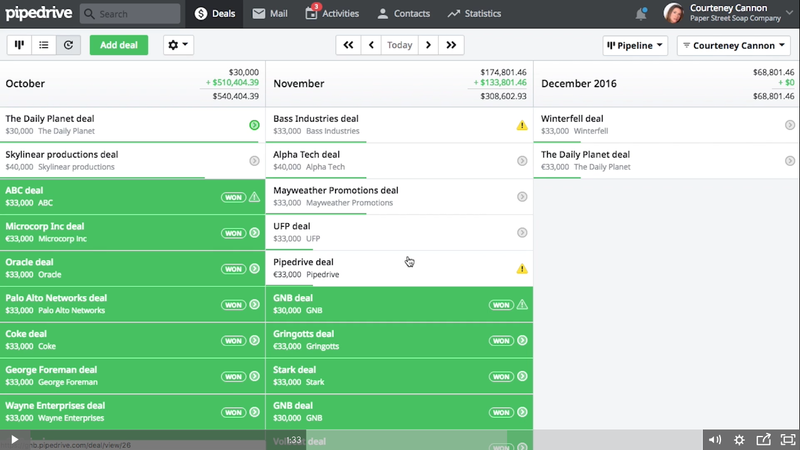 In Pipedrive, you’re able to create reports by salesperson, by pipeline, and by deal. For instance, you can create reports that can quickly show you the dollar value of sales made or deals in the pipeline by sales rep. This information can then be used to find out what the best reps are doing and motivate the rest of the team. You’re also able to create sales forecasts with a few clicks to help predict future sales, which can help you better plan post-sale resources. With Pipedrive’s CRM analytics features, you can easily keep track of your sales trends and activities without having to work with spreadsheets and formulas. 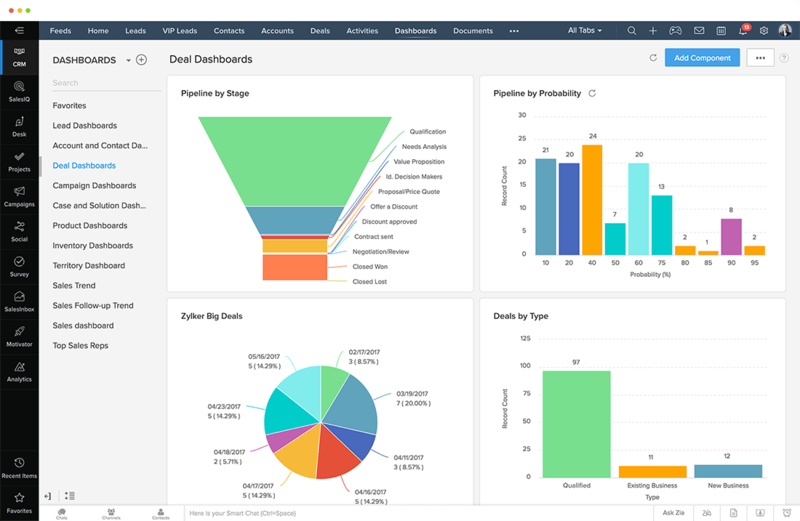 To learn more about Pipedrive’s CRM analytics tools and how it can be used to help improve your decision-making, sign up for a risk-free trial. There are other analytics tools that house and measure customer data besides CRMs. Two tools you’ll find helpful are Zoho Analytics, which integrates with Zoho CRM, and Freshdesk, which is an external, customer-facing help desk. Zoho Analytics helps measure customer analytics from a variety of sources, from CRM to accounting software. 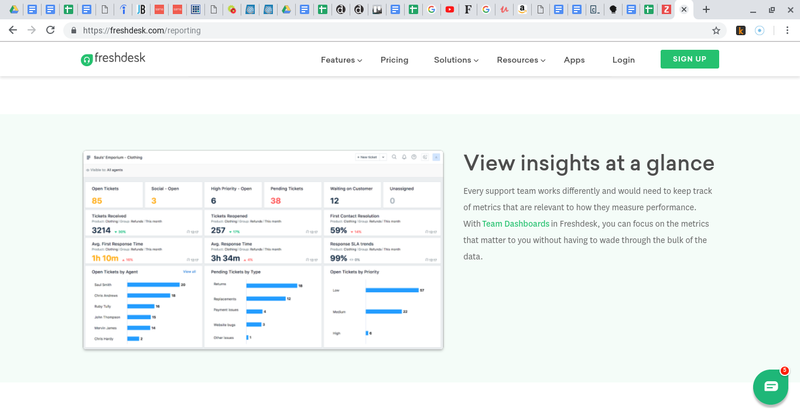 Freshdesk collects data from customer support interactions and allows you to create support dashboards and reports. Zoho Analytics is data analytics software that allows you to pull data from a variety of sources such as CRMs, customer support, accounting, and finance software to create reports and data visualizations that provide insights across all areas of your business. 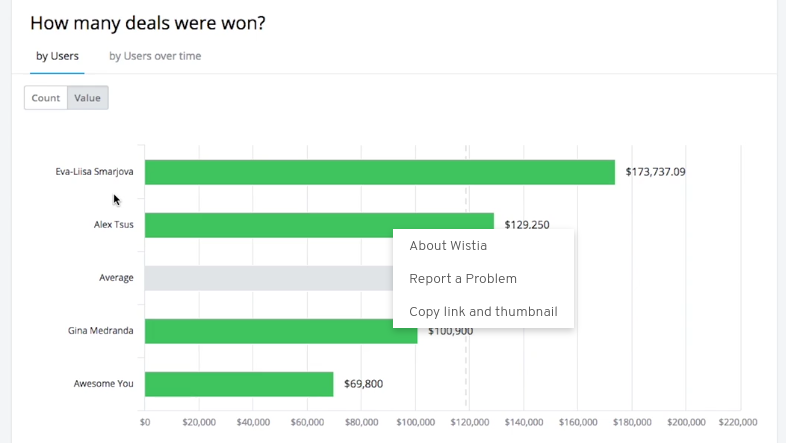 This software, which costs $25 per month, allows you to create reports and dashboards with drag-and-drop features and by typing in questions that are answered with reports. With this software, you’re also able to share reports and collaborate with other departments to get the insights you need, with features that allow you to securely access data and share reports and dashboards. 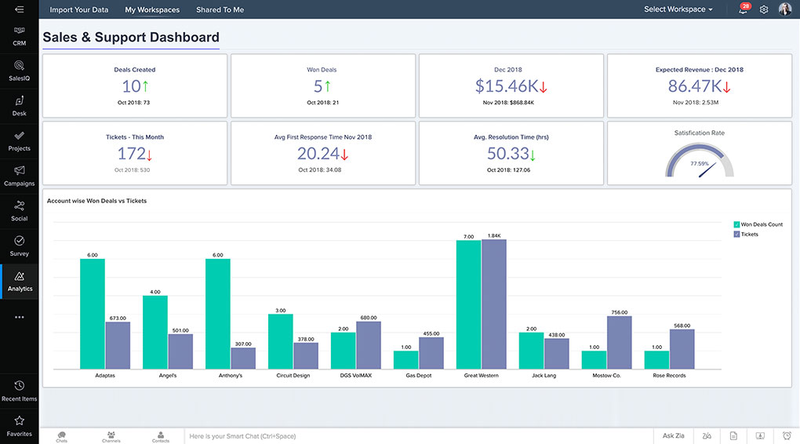 You can create reports and dashboards without having to manually enter or track data with spreadsheets, which saves time and allows users to focus their efforts on resolving problems or to take advantage of opportunities they spot within their analytics. Zoho Analytics allows you to create highly visual reports and dashboards based on data from tools and software from across your business. To find out if this tool is right for you, sign-up for a free trial with Zoho Analytics. Freshdesk is help desk software for businesses wanting to offer help desk support to their customers. It helps customers and support agents create support tickets with automation and it also facilitates customer self-service with tools to create a knowledge base. Freshdesk, which offers a free plan, allows customers to create tickets from a variety of sources including social media, websites, over the phone, and via email. In addition to support tools, Freshdesk houses and aggregates customer support data such as the number of open, unassigned, and closed tickets, time to resolve tickets, and customer satisfaction statistics. These reports can be displayed using graphs and charts with a few clicks or drag-and-drop features without manual entry or tracking in spreadsheets. CRM analytics are tools and technologies that aggregate, analyze, and present data to help business owners gain customer insights. 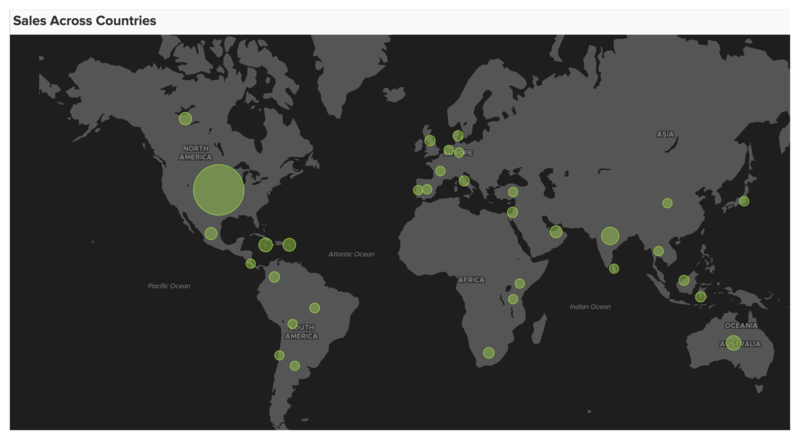 They make it easy to create reports and dashboards without having to create them manually in spreadsheets. Why are CRM analytics important? CRM analytics are important because of the insights they offer. They provide access to information quickly to help you make business decisions and have better customer conversations. They’re also important because they save time from having to create reports manually. What CRM analytics reports can I create? 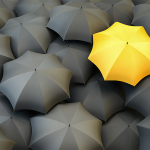 The type of CRM analytics reports you can create depends on your CRM. In most CRMs, you can create pipeline reports and sales reports, including sales forecasting. If your CRM has project management and service features, you can create project milestone and status reports as well as service and ticket reports. CRM data is information in the form of numbers or statistics that are housed, aggregated, and presented in the form of reports or dashboards to help business owners gain customer insights. Customer relationship management is how businesses handle or manage relationships with their customers. 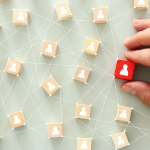 These relationships are best managed in tools called CRMs, which allow you to communicate with customers inside the tool and document important customer interactions. CRM analytics are tools to help you quickly gain insights from your business. Instead of creating analytics manually, CRMs allow you to create them automatically through point-and-click or drag-and-drop functionality. These tools save time and allow you to focus on using the information to increase sales and improve customer relationships. When it comes to reporting on CRM analytics, Freshsales is great choice for tracking the performance of your business. Its built-in reporting features, as well as its complete suite of equally powerful and affordable sister programs like Freshdesk, Freshcaller, and Freshmarketer, make it easy to manage your business at a glance. Visit Freshsales to learn more.